If you want your business to be successful, then you need to have a firm understanding about your customers want and what your competition is currently offering. If you don’t know the needs of your clients, then you won’t be able to deliver valuable products or services. Since your business is facing fierce competition in the marketplace, you need to know who your customers are to better serve them, while also considering how your competitors operate in your industry. Don’t worry about spending a lot of money on great marketing tools for small business because you can find options to help you research your market while also saving a lot of money to build your business! When you talk to customers about your business. Browse the costs of your opponents. Test new products or services to increase your bottom line. Consult with your sales team to gain first-hand knowledge of your customers. Analyze your Google Analytics and other software to understand what your customers want. There are varying levels of sophistication that can go into market research, and it is up to your business to decide what level of research is needed. You can choose from a variety of easy to accomplish tasks that will help you understand your customers in a general view, or you can engage in more complex market research to gain detailed insight about your target demographic. No matter the level of complexity, your business should engage with your customers to improve your marketing strategy and drive more sales. Let’s take a look at some ways your business will benefit from market research today! When Is The Best Time To Conduct Market Research? Some people consider market research to be a one-time event for your business and once you do a little research, you can put it aside. This idea couldn’t be further from the truth. Market research is an ongoing process that should be approached as an iterative process instead of a sporadic tactic. The truth is that your market, your competitors, and your customers are always changing. 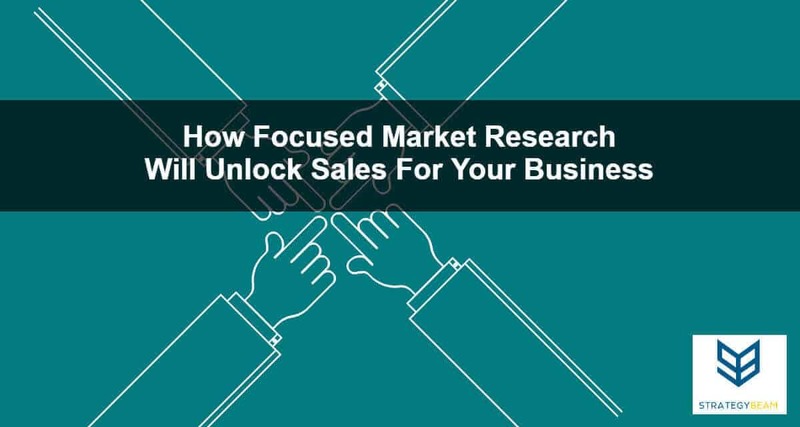 Since you want to stay updated on all aspects of your business, you should consider market research as an ongoing and evolving process to help you focus your marketing and sales resources. Determining the sales potential of your goods and services. Identifying the demographic characteristics of your customers. Choosing the optimal business location. Setting the price for your products and services. Attracting customers to your company. Write amazing content that drives sales and increases conversions. Creating your brand and voice. Setting costs for your goods and services. Ensuring advertisements is on target. Building an excellent reputation with your customers so that you will build a solid base of repeat business. While market research should be an ongoing process, your company will likely take a more aggressive approach to market research when you expand, relocate, or want to offer a new product or service. Your business should undertake a focused and intentional review of your market whenever you make significant changes to your business structure or model. How Can My Business Do Great Market Research? The first thing to remember is that you need to start with your goals and then work backward. Identifying your primary goals will save your business a lot of time and money because you need to align your marketing strategy with your business goals. You should determine what problem you are trying to solve, why you are trying to solve it, and how you will apply your findings to your business. The first steps of a market research exercise are the most important step because if you fail to identify your goals, then you won’t be able to take the appropriate actions to secure the data you need. For marketing purposes, once you establish the goals your business will be able to prioritize following steps and choose the best techniques to collect relevant data to impact your business. Throughout the process, you will find there are two main types of research that you can utilize: Primary Research and Secondary Research. Primary research is the best kind of information you can use to influence your company’s actions moving forward. This type of market research is the most authentic information because it is usually gathered first-hand through customer interviews and other processes. Who are my customers and how may I reach them? Who are my competitors? What are their strengths and weaknesses? While primary research is the best type of data points that your business can use, this information is also the most labor intensive to collect. This means that primary research data will often require significant amounts of time and resources, but it should be the backbone of your market research efforts. Primary market research allows you to take looks at specific, targeted demographics, so you have exact control over your results. Be sure to tailor the tools and programs you are using to answer a particular question because primary research can require lots of time and resources to conduct. Direct mail pieces (expensive, but useful depending on your demographic. Personal phone calls with recent, current, and past customers. Online surveys (using tools like Survey Chimp or Type Form). Email questionnaires using MailChimp or other email sending programs. Interview your customers as you engage with them on a daily basis. Since you are likely going to invest time and money to gather high-quality primary research results, then you should follow a few simple rules to ensure that your results are as relevant and valuable as possible. Keep your survey, questionnaires, etc. as brief and straightforward as possible. Ensure it’s visually attractive and easy to read. This will make the experience more enjoyable for your audience and improve participation. Since you have limited time with your customers, you should keep your interactions short. This means you should refrain from using general questions and only use focused questions based on your goals. Avoid leading questions, queries with uncertain words, queries which are overly difficult to reply (due to recall problems, etc.). Always pretest your survey to identify potential problems. Test your content on a small group to ensure the effectiveness of your efforts before you interact with your customers. Some company owners are reluctant to request their clients to complete a questionnaire for fear which their clients will likely be made to feel uncomfortable or annoyed at the inconvenience. An effective way to reduce any awkwardness is to offer your customers an incentive to fill out a survey. You might reward them with coupons or hold a prize drawing for clients who turn in a completed survey. Secondary research is another way that your company can understand your customers and dynamics in your market. Unlike primary research, secondary research methods rely on indirect methods to understand their clients. Past company sales records and trends. Use tools like SEMrush and other programs to view trends and investigate your competition. Review various online sources to see what your customers are saying about your products or similar alternatives. While not as focused as primary research, secondary research is often less time consuming and a more affordable option. Even though secondary research is less targeted than primary research, it can yield useful info and answer some questions which aren’t practical to address through primary research (such as evaluating macroeconomic conditions) or issues that could make customers uncomfortable if asked directly (such as for instance questions on age and income levels). Which are the current economic conditions that my company is operating in? How are these conditions changing? What are overarching trends affecting the industry and market my business operates in? What are my consumers’ preferences and how are they changing? Are there significant technological shifts in the market that your business can leverage? Which are the demographic features of my customers or where do they live? Populations, age groups, income levels, etc. of your customers. By examining indirect data points, you can learn what aspects you should focus on before implementing primary research methods. This approach will help you understand where to invest your time and resources so you can achieve your goals. Now that we have covered some of the methods that your business can implement to conduct market research, you can begin to apply your findings to the continued success of your business. Building out several customer personas for various segments of your market is one of the most important aspects of applied market research. These frameworks will help guide you to do everything from pricing, messaging, and copywriting. You can also use your market research to help prioritize your overall business marketing efforts. Utilizing market research will help you prioritize each stage of your marketing so you can prioritize your content production. Market research is one of the vital components to understand your target audience and identify the best ways to reach them. Identify the best ways to engage your customers by conducting great market research today! Let me know if you would like to learn more about market research and how it can help you drive more sales today!